Have you ever wondered why your built-in camera does not have an option to put a timestamp on your photos? Wonder no more! Have you ever wondered why your built-in camera does not have an option to put a timestamp on your photos? Wonder no more! 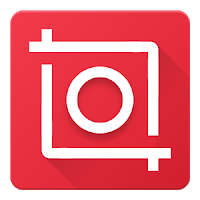 Camera Auto Timestamp app will automatically print a timestamp on your photos as you take them with your built-in camera. ⦿ Easy one time setup and you are good to go. ⦿ Timestamp can be switched on/off with ease. ⦿ Choose a date/time format from many available formats. ⦿ Add your own custom date/time format. ⦿ Choose a text color – any color you want. ⦿ Choose a text size – automatic or choose your own size. ⦿ Add custom text above the date/time stamp. ⦿ Text outline – make your text more visible when the text color is similar to its background color. ⦿ Text location – lower left corner, lower right corner, upper left corner, and upper right corner. ⦿ Text margin – automatic or custom.